Island Chef Cafe at Marietta Square’s Art in the Park. Food trucks are a beloved staple around Atlanta. This is both a blessing and a curse, as while the options have become plentiful, I don’t think they can truly be considered an inexpensive, budget-friendly alternative anymore. In my personal experience, you are looking at $7-8 for an entree and an additional charge of $2-3 for side items. Obviously that varies by truck, but that is the average of the ones I have eaten from. Nonetheless, Atlanta has a truck for every palate, from meat-lovers to vegan. 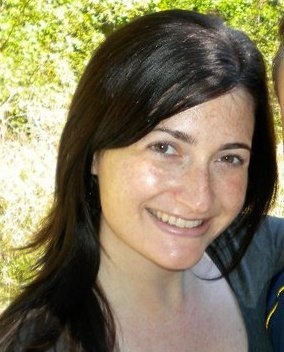 How do you track them down if they are moving around all the time? If you have a particular truck you like, they probably have a Facebook page on which they post their weekly schedule. Check out what festivals are going on as those typically feature some trucks, like these upcoming fall festivals. There is also an annual Street Food Festival at Stone Mountain. But there are a few locations where you can find trucks on the regular. Mac the Cheese at Marietta Square. 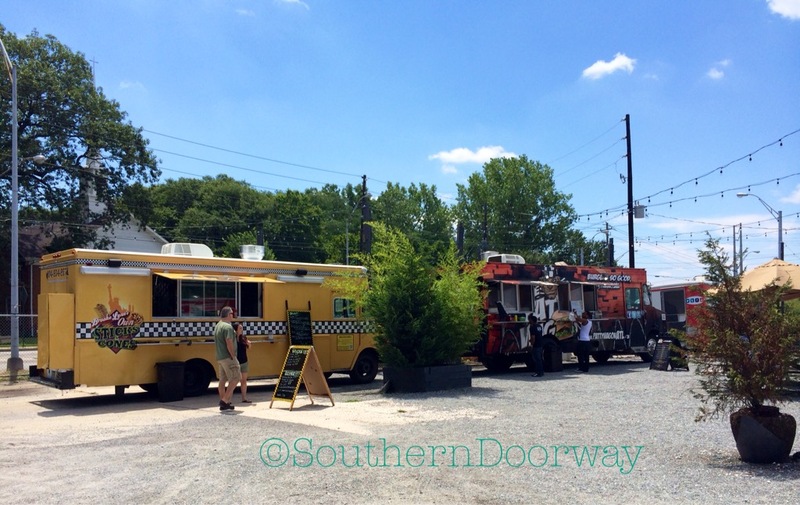 Alpharetta Food Truck Alley runs every Thursday from April-October. Another place is the Atlanta Food Truck Park & Market off 75 on Howell Mill Rd. Downtown Woodstock has Truck & Tap. Street Food Thursday is a year-round lunch event at 1125 Peachtree Street. 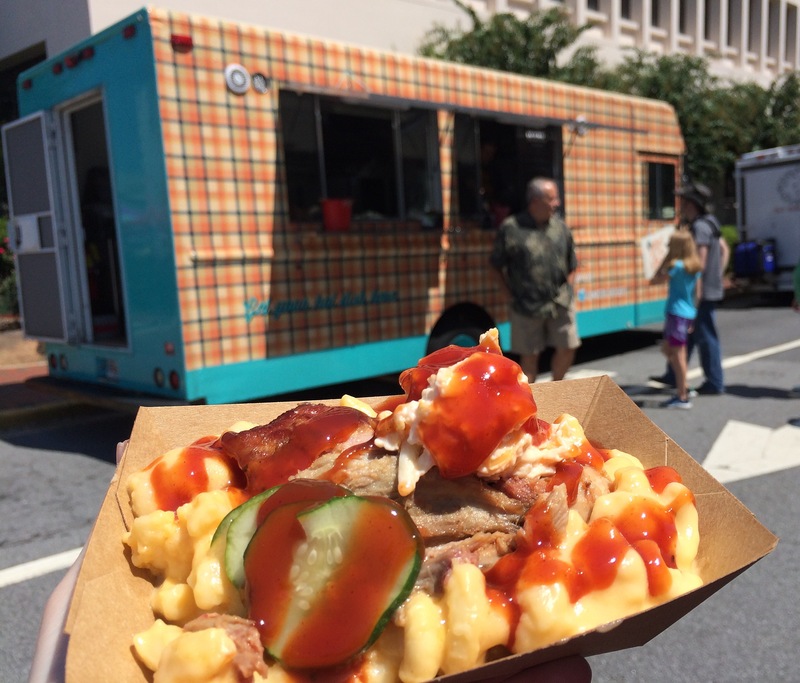 The cities of Smyrna, Stockbridge, Brookhaven, Duluth, Lilburn, Suwanee and Sugar Hill all host weekly food truck gatherings through summer and fall. Schedules are on city web sites. Popular Asian and Mexican fusion truck Yumbii is opening a brick and mortar location in Buckhead in fall 2016. 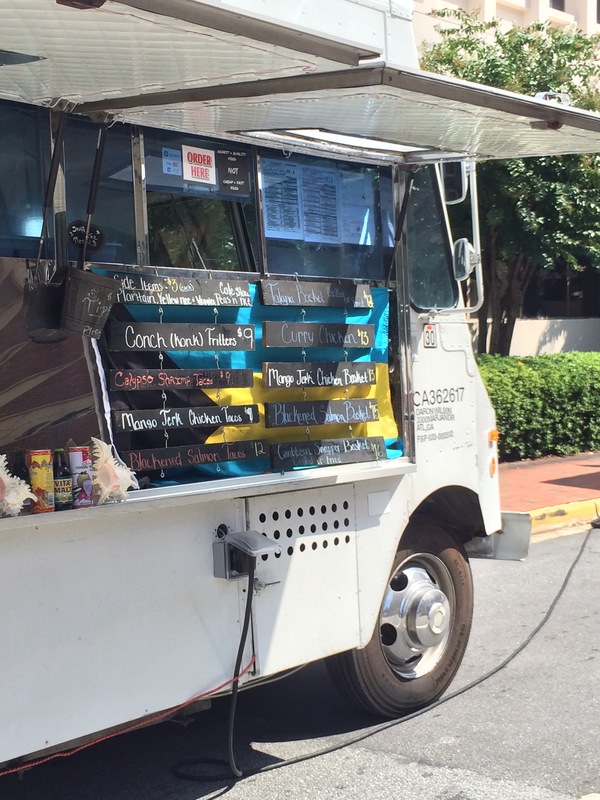 The Atlanta Street Food Coalition also maintains a calendar to help track down trucks. 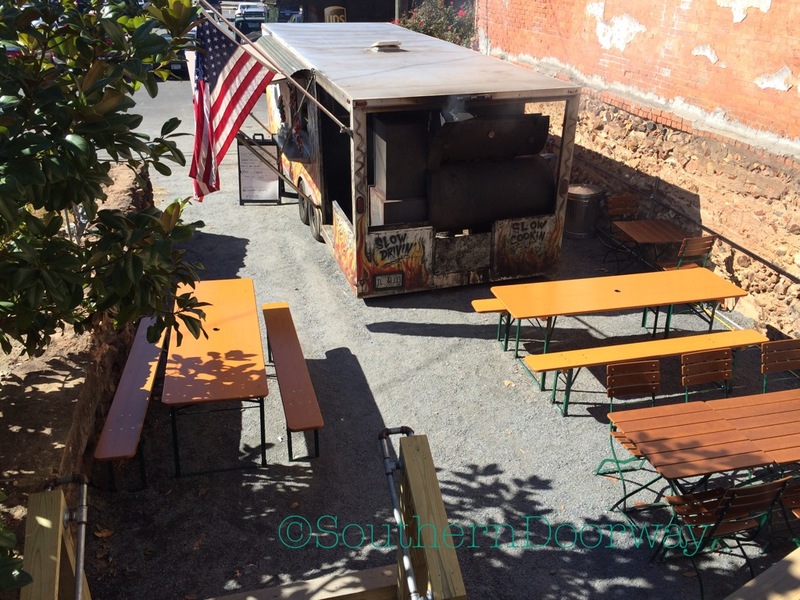 Smokin’ Mo’s BBQ at Truck & Tap in Woodstock. What’s your favorite truck and the best place to catch it?